Welcome to Adams Autoworx. Our certified technicians are experts at providing high-quality tire services, including tire inspection, tire installation, tire balancing, and of course we rotate tires for you as well. For your convenience, if the appointment times we offer do not match your schedule, we recommend Adams Tireworx, our tire shop located in the adjacent building. Tires should be checked on a regular basis for damage and wear. Whenever you bring your vehicle to Adams Autoworx, we check your tires for uneven wear as well as for sharp objects that may have penetrated the tire. We also check your tires for bulges, tears or cuts that might be the result of contact with road hazards. We also adjust tire pressure to manufacturer specifications. If you have specific concerns about tires, let us know and we will make sure they get resolved. When you purchase new tires, ideally they would be in sets of 4, or at least in matching groups of 2 on each axle. Doing so extends the life of your new tires and keeps the tire wear even. You can shop for new tires on Adams Tireworx, our sister site. You can shop for tires by brand, vehicle make, model, and year, or tire size. When you purchase the tires, your tires will be professionally installed by certified technicians. We also offer tire balancing service. Tire balancing is important to increase ride quality, the basic safety of your vehicle, and to extend the life of your tires. Tire balancing is done every time you buy new tires. Tire wear depends on road hazards and driving practices. If tire wear is uneven, it will typically show up after about 2000 miles driven. It’s good to check for tire balance every 4000 to 6000 miles. 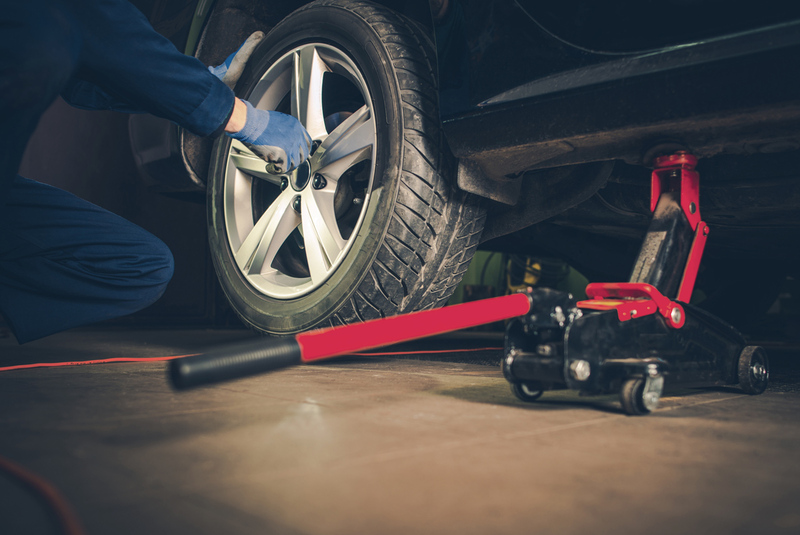 When you regularly service your vehicle with Adams Autoworx, we check for tire wear and alert you if tires need to be balanced, or simply rotated. Tire rotation is necessary because tires do not wear down evenly. Which of the four tires will wear faster than others depends on driving habits, weight distribution of the vehicle and other factors. Easiest way to counteract effects of uneven wear is to rotate tires on a regular basis. Tire rotation extends tire life, and improves comfort. When we rotate tires, we typically move front tires to the back, and back tires to the front. We may also move them from one side to the other – it all depends on the pattern of wear. Tire rotation prevents negative effects of uneven tire wear – decreased mileage, poor performance, uncomfortable ride, and, in extreme cases, safety problems. At Adams Autoworx we inspect your tires whenever you bring your car in for any service. If your car’s tires need to be rotated, we will let you know.